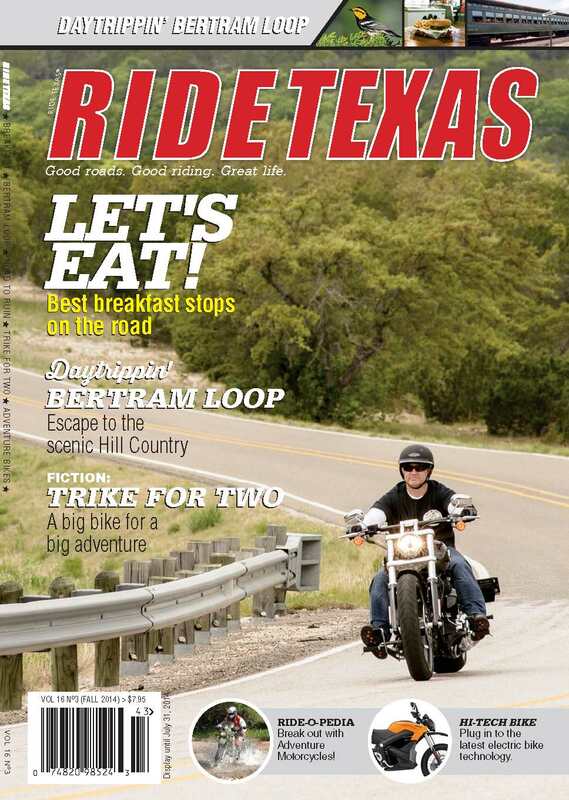 Vol 16 No 3: Best breakfast stops on the road, Escape to the Hill Country, Trike for Two and more! 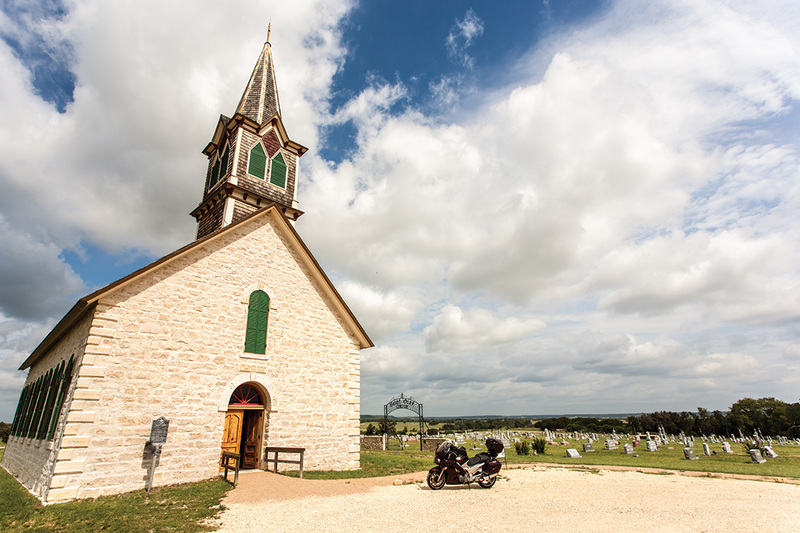 RIDE TEXAS® Volume 16 Issue 3: Best breakfast stops on the road, Daytrippin’ Betram Loop – Escape to the scenic Hill Country, Fiction: Trike for Two, and more! Your Guide to Great Motorcycle Roads and Destinations. This edition provides you with a list of convenient breakfast stops where you can enjoy the most important meal of the day and get an early start on the open road. You can also enjoy a truly scenic excursion around Bertram Loop. If you’re looking for an excellent day trip located in Central Texas, far enough away from the big city, this is just the one. We’ve also included a Ride-O-Pedia, information on the newest electric bike technology and a story about a two person adventure on a big bike. 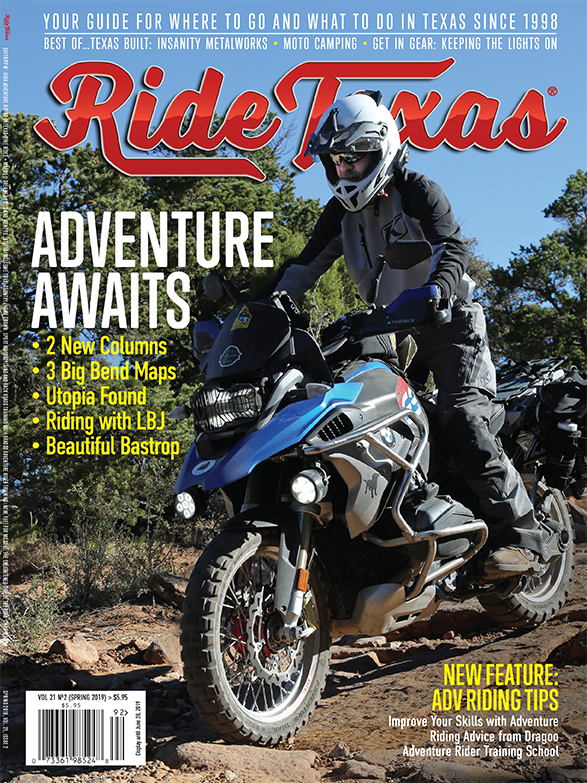 90 pages packed with good stuff for Texas’ riders! Each edition includes detailed planning materials wit the type of information you need to need to get the most smiles from your miles. Details about the route itself: length, most scenic sections, etc. Puts the road into regional context, all roads are marked for easy navigation. Details riders need about food and stops along the way. RT exclusive! Developed by our expert cartographer just for you. See the ride within the actual landscape. No need to wonder where the twisty, hilliest bits of the route are located. You’re going to know ahead of time.